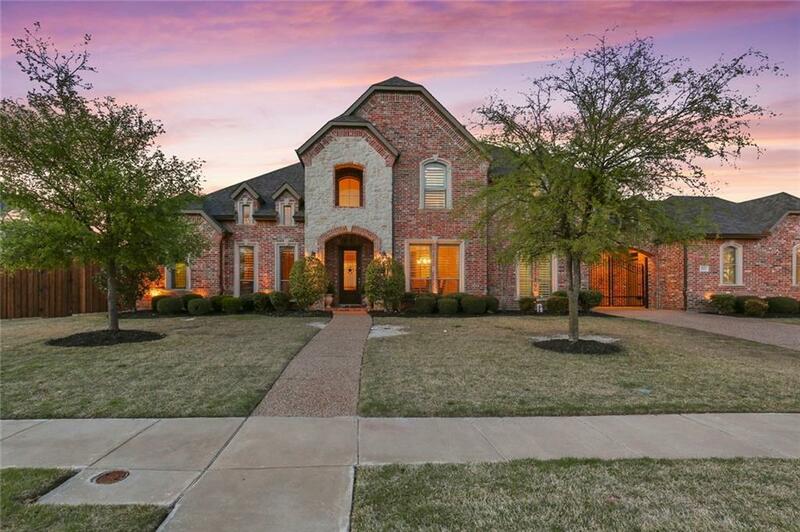 EXECUTIVE custom 6 Bedroom home in Lakes of La Cima with .49 acre lot, diving pool & patio, porte-cochere gated entrance & 4 car garage. 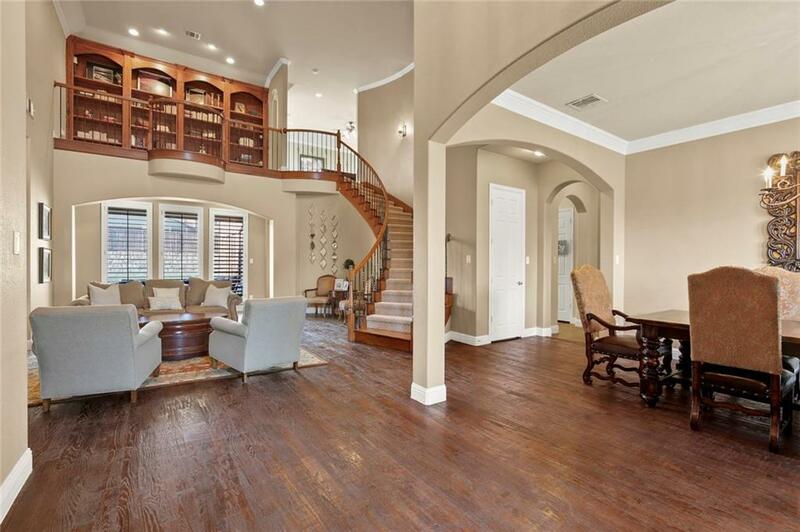 Grand entrance has wood floors, dining & seating area for entertaining. 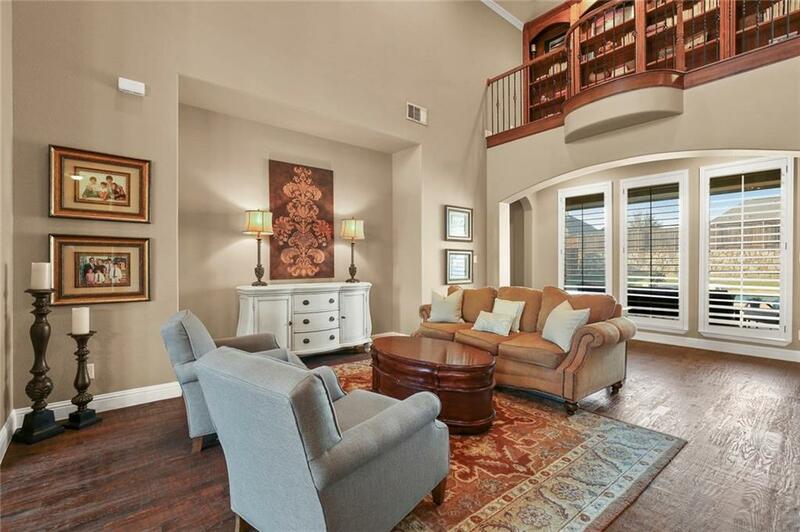 Large family room has stone fireplace & opens to breakfast nook & kitchen. Chef's kitchen features Jenn-Air ss appliances, island, bar, butlers pantry & lots of storage. Master suite has tray ceiling & lovely view of pool with patio access. Bath has vanity seating, separate tub & shower & huge walk-in closet.Downstairs bedroom has en-suite bath perfect for guests. 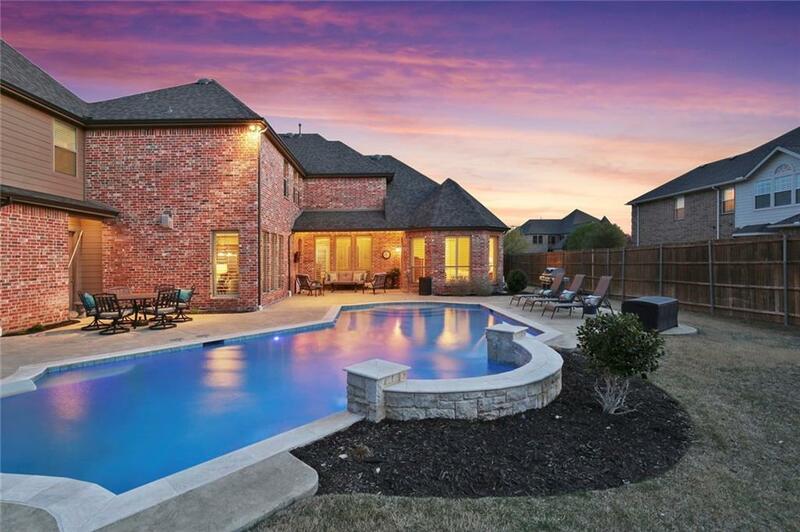 Upstairs has game room, media room & 4 large bedrooms with walk-in closets. Shutters throughout, new roof & new carpet 2019. Pool built in 2015. Offered by Wayne Bartley of Re/Max Performance Group.